Beef and burdock always make a great combination, and this dish is no exception. 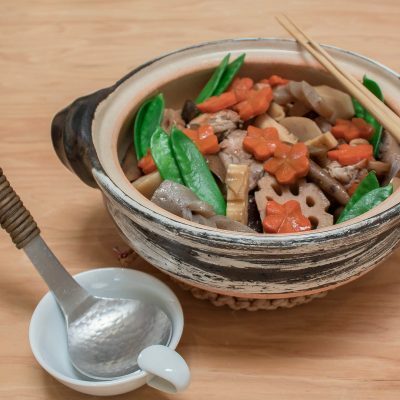 This is a traditional Japanese dish, and is very popular as a home dish, especially as you can make it with inexpensive komagire cut beef (basically thin end-cut or scrap meat). 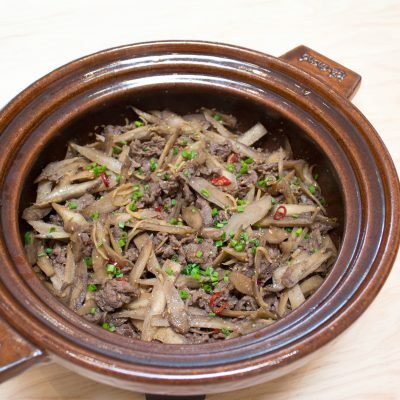 By simmering the thin slices of beef and burdock together in the sweet soy-based sauce, the dish creates the wonderful rich and earthy flavor. I love to add a generous amount of ginger for the additional layer of flavor. I often enjoy serving this over plain rice to make a rice bowl dish. It’s so good!